Grand-Ma-Ma is in the building! 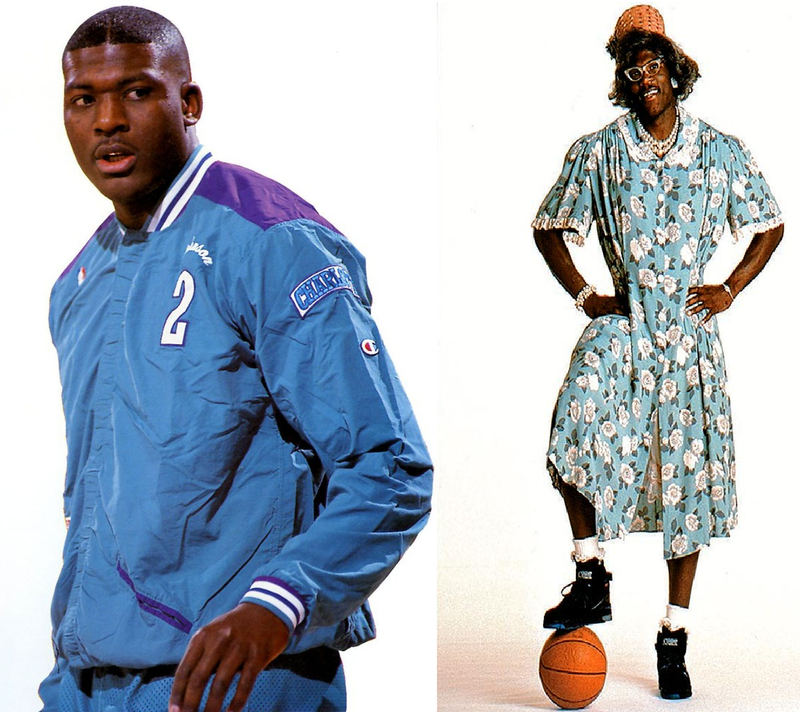 Larry Johnson was an impenetrable, gold-toothed, flower dress-wearing, physical force in the paint for the Charlotte Hornets and New York Knicks in the 90s. 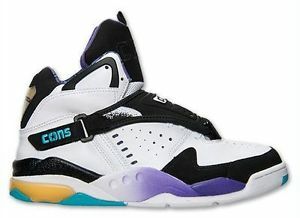 LJ was the whole package, he had a signature shoe by Converse that introduced React Juice to the world, he had a great alter-ego personality for his shoe commercials known as Grand-Ma-Ma, he had a gold tooth, a million dollar smile, AND he had PROBABLY the greatest post-big-shot celebration: L-J signature sign-off. We’ll jump right into ALL of this and more, maybe we’ll even follow the LJ timeline to TGIF Television’s “Family Matters” appearances, but we’ll have to wait and see (that’s called a teaser). 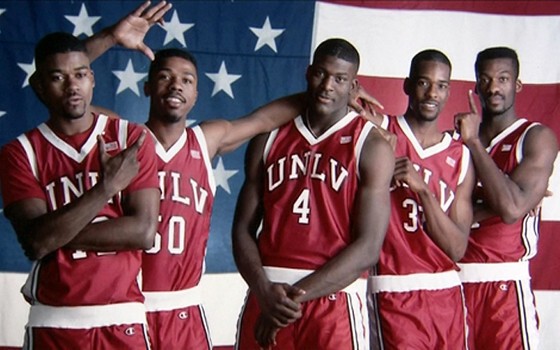 The 1989-90 UNLV Runnin’ Rebels were men among boys in the NCAA men’s basketball landscape. 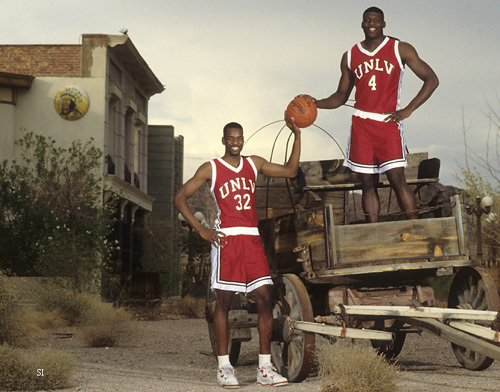 Lead by Junior College transfer (Odessa College) and future NBA star Larry Johnson, the Runnin’ Rebels of Sin City finished the season at 35-5 while conquering the Laettner lead Blue Devils for the 1990 NCAA championship and college hoops immortality. With an average margin of victory of 18 points per game in the National Tournament, UNLV breezed through without a hick-up (except for a 2 point victory over Ball State in the sweet 16) on it’s way to the school’s first National Championship. 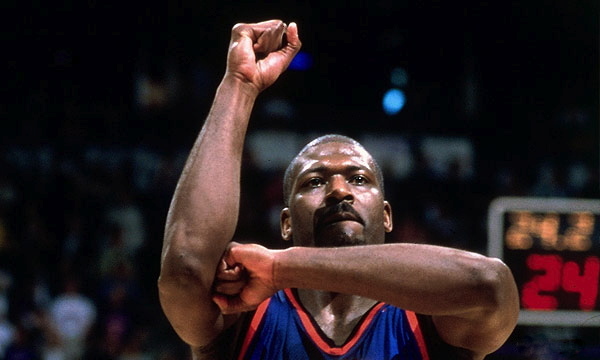 Larry Johnson, Greg Anthony, Anderson Hunt, Stacey Augmon and David Butler were house-hold names, and the squad would look to repeat and solidify a college dynasty the following year in 1990-91. Unfortunately for them, Duke’s Christian Laettner wasn’t about to let that happen. 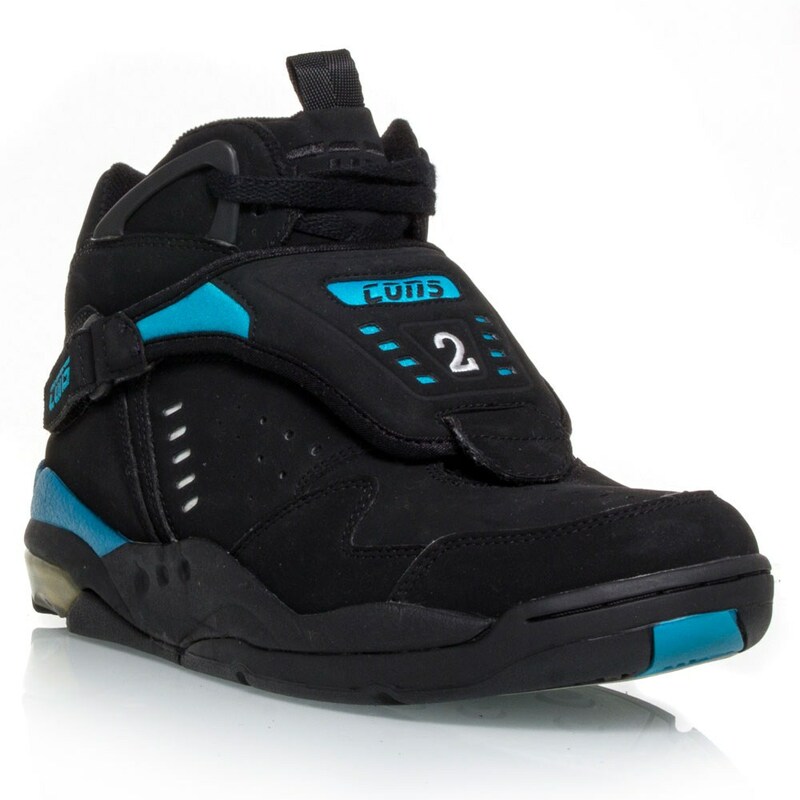 Larry Johnson averaged 21.6 ppg, 1.5 bpg, 11 rpg, and shot 64% from the field with 35% from behind the three point line while at UNLV. He would go on to win the NCAA Player of the Year Award in 1991 as well as the John R. Wooden Award (’91). Long story short, LJ was the man in college and quickly transitioned that over to the NBA. Johnson was selected 1st overall by the Charlotte Hornets in 1991, by way of UNLV and Coach Jerry Tarkanian (read about Coach Tark). LJ would become the Rookie of the Year in the NBA in 1992 and be an All-NBA Rookie First Team selection as well, averaging 19 ppg and 11rpg. He would help lead the Charlotte Hornets out of the dumpster and into relevancy in the Eastern Conference. 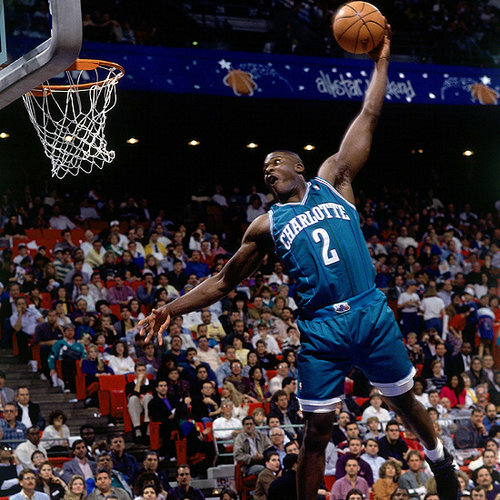 In LJ’s second year in Charlotte, along side future HOFer Alonzo Mourning, the most annoying defender EVER: Mugsy Bogues and the poor man’s MJ: Kendall Gill, the Hornets finished with a 44-38 record taking them to the Eastern Conference playoffs, eventually losing to the John Starks, Patrick Ewing, Anthony Mason (RIP) Knicks in the semi-finals. Who then of course then got rolled by MJ’s Chicago Bulls. 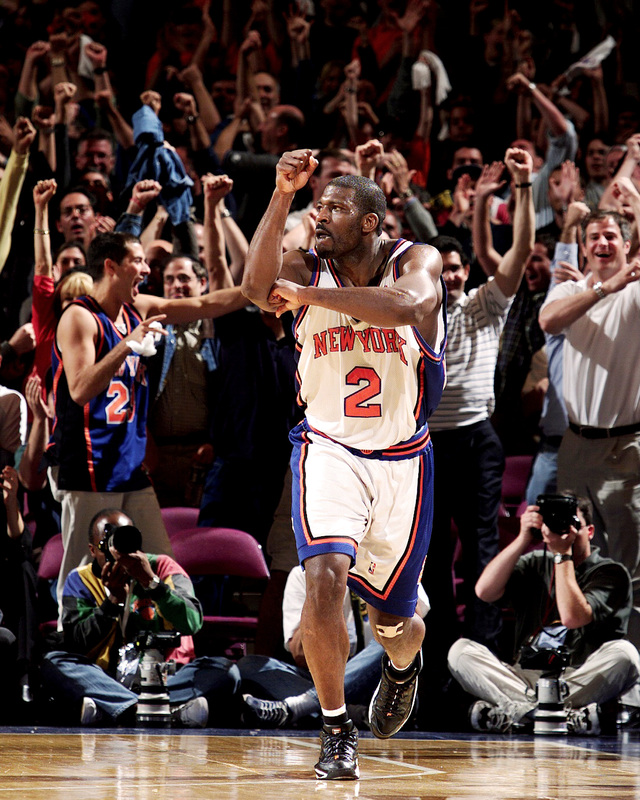 This LJ phenomena took the league by storm, he was a great player, a HUGE personality (to go with being a huge physical specimen) with a bright, shiny, gold-toothed smile that sold the purity of hard-nosed basketball. 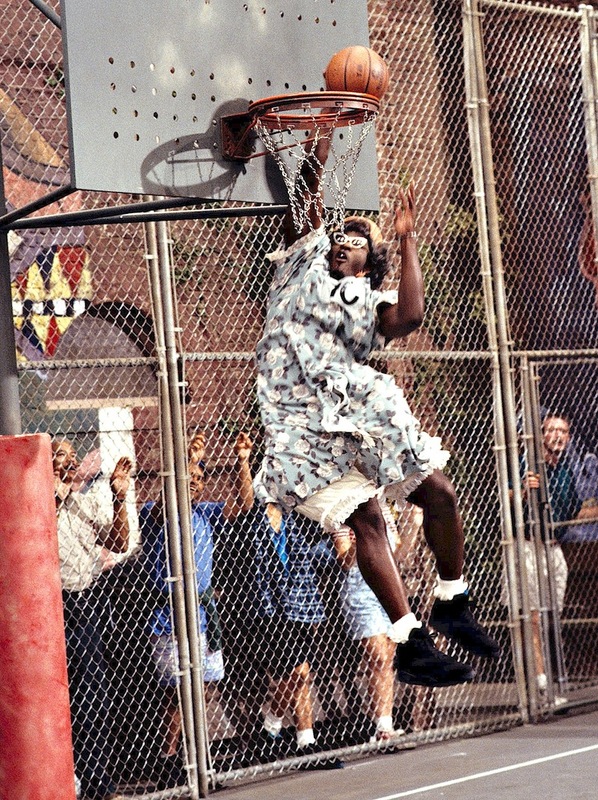 He was Mike Tyson meets Shawn Kemp meets Charles Barkley meets………..Grand Ma Ma. He was loud, tough, BIG, and most importantly he brought a love for the game and a passion to compete that the fans LOVED. 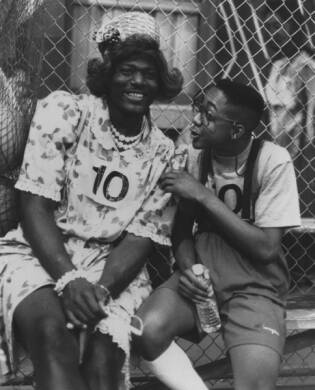 Due to copyright infringement, Warner Bros took down the real episode, apparently Grand Ma Ma playing basketball with Urkel is too important for Warner Bros’ bottom line to be available on youtube. Lastly, before we let LJ ride off into the sunset. We must discuss his signature hand/arm/L.J. sign-language brilliance, that if you saw as a defender it only meant your demise and eventual downfall. The man spelled his name with his arms. What other player in NBA history has been able to accomplish such a feet!?!? Did you ever see Vlade Divac or Nikoloz Tskitishvili or even Michael Jordan sign language/quiet a crowd after a HUGE jumper??? NOPE. 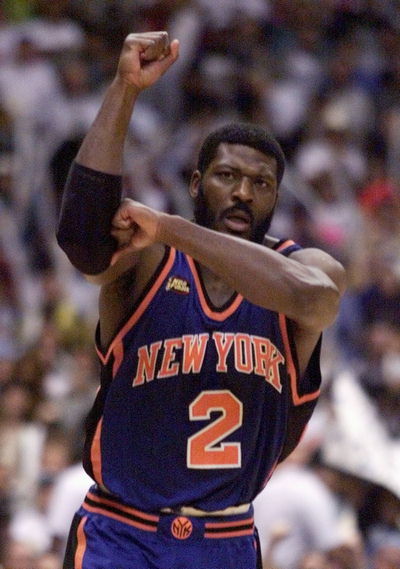 Larry Johnson OWNS the post-made shot-sign language-celebration industry. We miss ya LJ and we miss your Grand Ma Ma too.